The Fellowship was fortunate enough to obtain a copy of NAMELESS #1 from Image Comics. Grant Morrison writes, Chris Burnham draws and Nathan Fairbairn colors. In the occult world, names are powerful. Having no name makes it harder to control you, so our protagonist gave his up for (relative) safety. Nameless is what you might call a “free agent” in occult circles, and now a billionaire wants to hire him to help his team avert a global disaster. It all seems like a dream, really. There are a ton of varied occult references in this book, which obviously give us the sense that Nameless really knows his stuff. There are also a ton of hints about Nameless, his job, his past, and maybe even his sanity. If we get to see half of those hints played out, this will be an amazing character study of a story. The art switches smoothly back and forth from reality to dreamscape, and it does so beautifully. There have been several really cool “modern fantasy” comics lately, and as a fantasy fan I’m enjoying it. And this one is right up there with the best of them. Check it out. 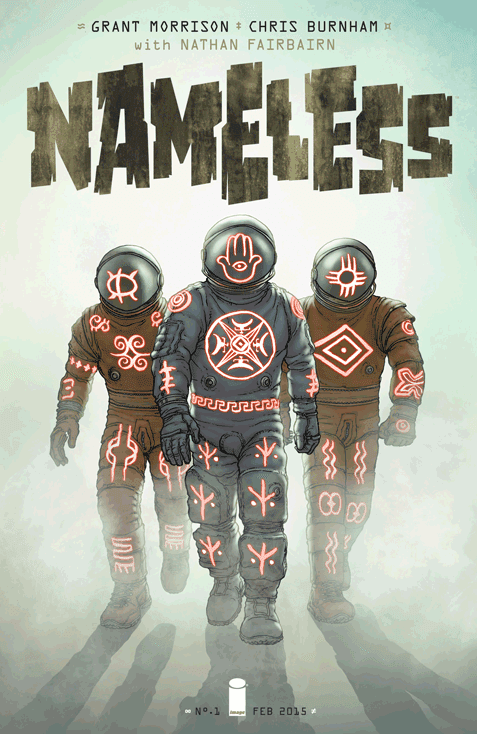 NAMELESS #1 is available now at your FLCS or at imagecomics.com.